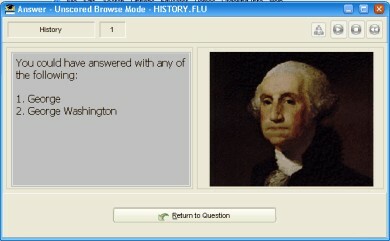 WinFlash Educator is a flashcard study and testing system. Study at your computer, export files to a Palm or PocketPC PDA or print them out in a variety of sizes for use on the go. Import existing data from multiple sources. Educator's learning algorithms help you thoroughly master the study material. The program tracks your progress and focuses attention on those questions causing difficulty, while continuing to reinforce areas of strength. Educator is ideal for corporate training/certification, academic study/testing and home schooling applications. Disclaimer: This application is listed here because it uses our programming library. We are not the developers of the applications listed in this section of the web site (unless explicitly stated). Contact information of the developer of this application is at the beginning of this page. Please address all support or sales questions regarding this application to the developer. We are trying to keep information in this section of our site up to date. But applications are evolving, and some information or graphics may be obsolete. Visit the application's site for the actual information.